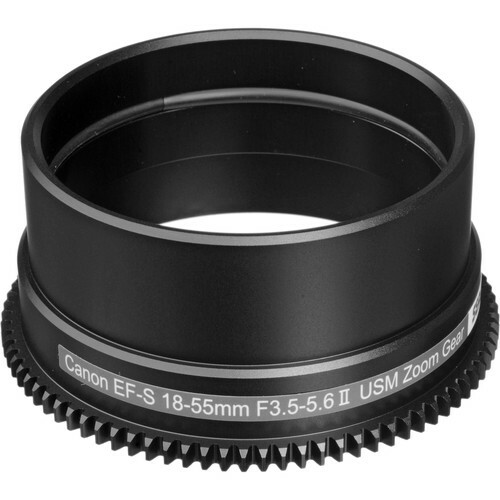 This Sea & Sea zoom gear is used when the Canon 18-55mm zoom lens is in the compact wide port (56280) along with the NX compact macro port base (50201). When the gear is mounted in accordance with the revised instruction sheet, it will function without any problem. Box Dimensions (LxWxH) 5.8 x 3.9 x 3.7"